The 2019 Honda Ridgeline towing capacity reaches a maximum of 5,000 lbs, helping Lakewood drivers get to work with the power they need. 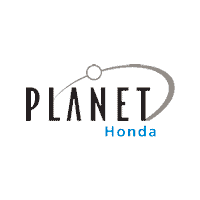 Pick the right trim level and drivetrain options for ultimate hauling capability, and see what makes sense for you at Planet Honda. How Much Can a Honda Ridgeline Tow? Not every trim level offers both 2WD and AWD, so be sure to research the right Honda model for your needs. No matter which trim you choose, every Honda Ridgeline comes standard with an integrated Class III trailer hitch, helping you get the job done in Denver with ease. While other truck competitors may require you to purchase additional towing accessories, the Ridgeline is ready to tow the moment you drive it off our lot. Ready to get down to business in a hard-working truck that can go the distance? The Honda Ridgeline is waiting for you at Planet Honda, where we work just as hard to help you find the right car at the right price. Our friendly, knowledgeable sales team can answer all your questions, and share our helpful new vehicle specials to make getting a new car in Golden even more affordable. Contact us today to get started! 0 comment(s) so far on What is the 2019 Honda Ridgeline Towing Capacity?